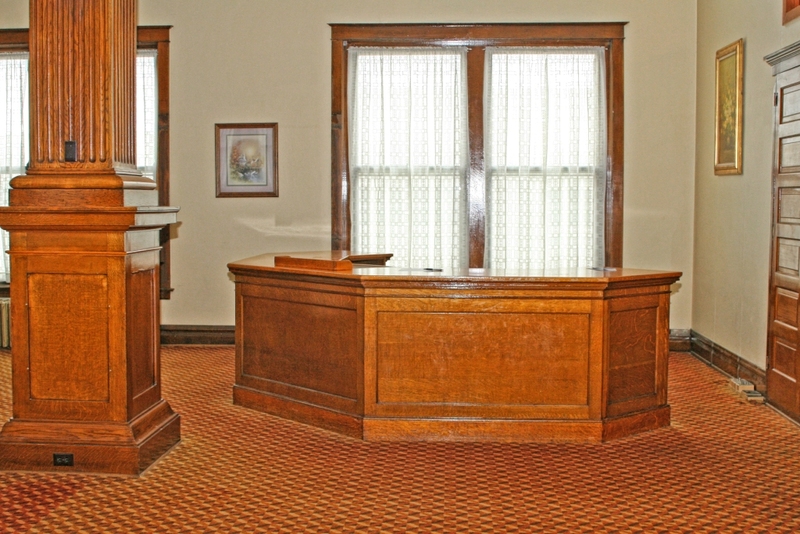 © 2019 George Smith Reception Hall | Junction City, Kansas - HISTORY. All Rights Reserved. 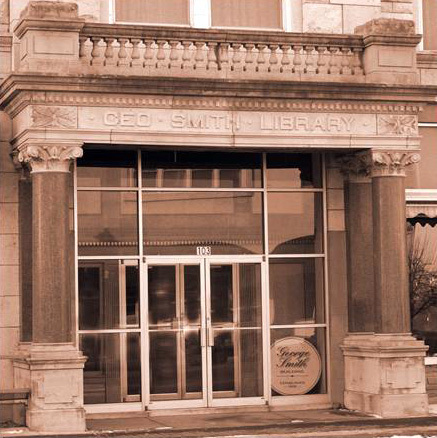 The George Smith Reception Hall was formerly the George Smith Public Library. The building was built in 1907 and formally opened on March 17, 1908. It was used as the public library until 1983 when the Dorothy Bramlage Public Library was built at the corner of 7th and Adams Street. George Smith was born in Canada and came to the United States before the Civil War. He became an investor and local property owner. 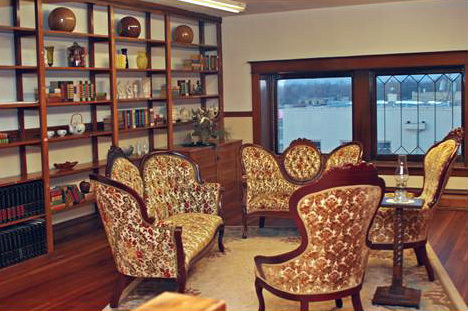 He never married, and upon his death in 1905, gave his entire estate of $75,000 for the purpose of building a library for the people of Junction City. His estate also purchased 4,000 volumes for the shelves of the library. It was constructed by Ziegler Brothers for a total cost of $32,198. Mr. Smith specified that the rent from the bottom floor businesses was to pay for the operation of the library, which it did until 1944. The grand staircase and golden oak pillars are original to the building, as is the library circulation desk and balcony area. It is our hope to share this historical structure with you. 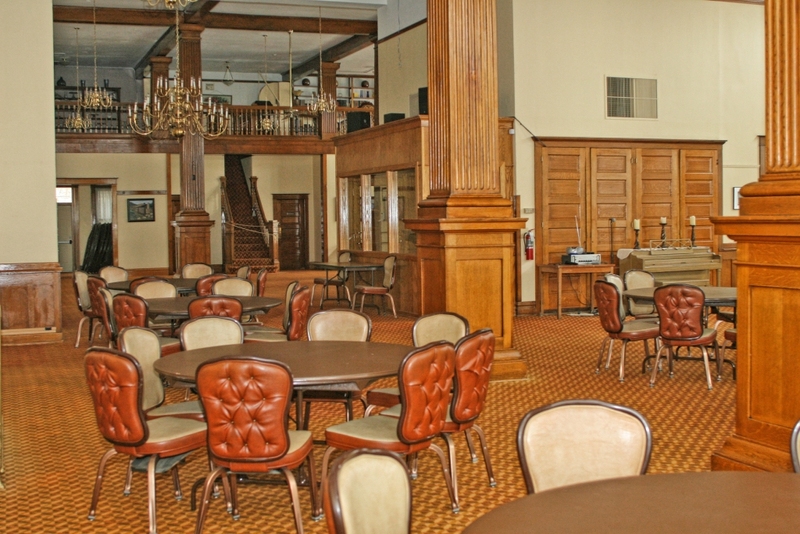 It is available to rent for receptions, meetings, seminars, training sessions, coffees, teas or other events.